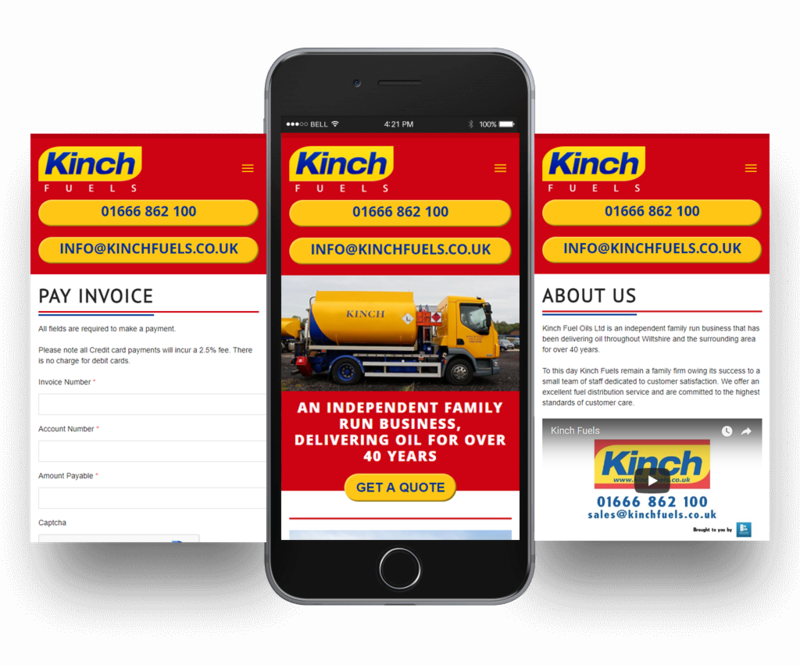 Kinch Fuel Oils Ltd is an independent family run business that has been delivering oil throughout Wiltshire and the surrounding area for over 40 years. They wanted a modern, informative website where customers could order fuel and pay invoices. The website needed to be easy to navigate so customers can easily find the relevant information they require. 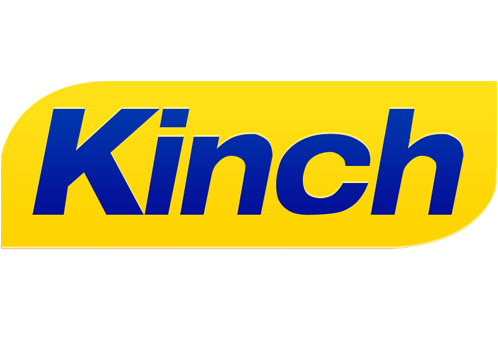 Kinch Fuels wanted a promotional video to feature on the website in order to promote their services. We created a detailed website which includes an ordering system for buying fuel and paying involves. 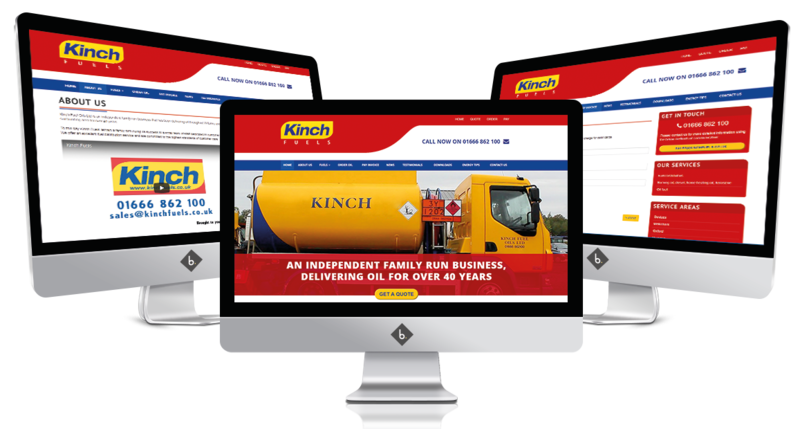 The content on the website is very informative, telling the customer about the history of Kinch Fuels, and the types of oil they provide, like heating oil. The website features downloadable materials for the customer to use. The website also has energy tips to give great advice to customers and to keep them informed about how to save energy. We added a news feed to the website where they can share all their latest news and information to customers. 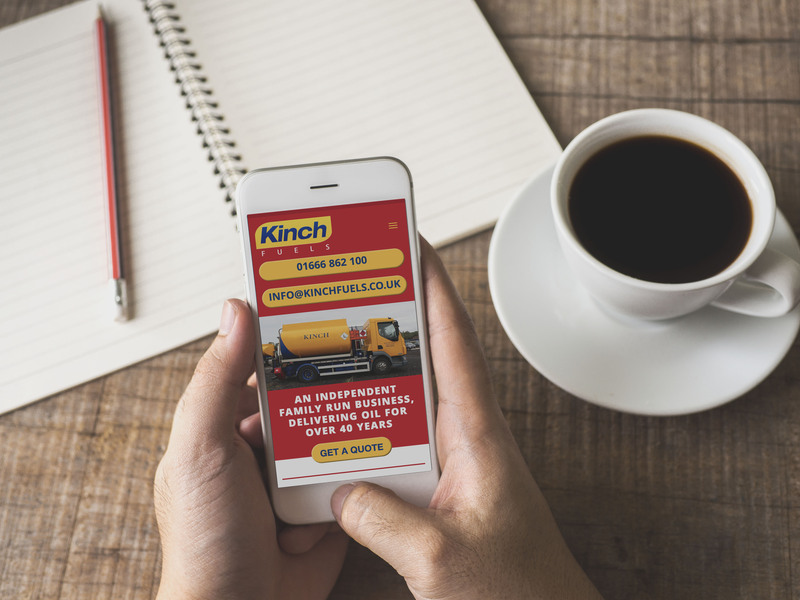 We provide social media for Kinch Fuels, advertising their services and promoting their brand.